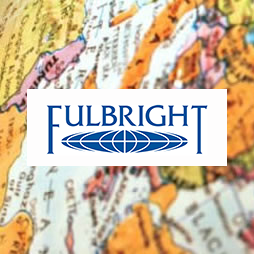 Ten recent Florida State University graduates will study or teach English around the world during the 2015-2016 academic year as part of the Fulbright U.S. Student Program. The program offers grants for U.S. graduating college seniors, graduate students, young professionals and artists to study, conduct research and/or teach English abroad. Four of FSU’s recipients earned academic study/research grants to work on their own projects at foreign universities. Six of Florida State’s recipients will participate in the English Teaching Assistant Program, which places Fulbright Fellows in classrooms abroad to provide assistance to local English teachers. The teaching assistants help teach the English language while serving as cultural ambassadors for the United States. Carolina Alarcon , a doctoral candidate, received an academic research grant to complete her research on 16th century medical knowledge in Spain. Her research examines how printed images effectively interpreted and broadcasted early modern understandings of medicine and anatomy. Charlie Beckerman , 31, from San Francisco and New York, received an academic grant to study at the University of Sussex in Brighton, England. Beckerman graduated in August 2014 with a master’s degree in creative writing. Frances Falling , 23, from Melbourne, Fla., received a study grant to conduct research on three youth choirs in Germany. Falling graduated with honors in December 2014 with bachelor’s degrees in choral music education and environmental studies. Daniel Ruiz , 22, from Orlando, Fla., graduated in May with bachelor’s degrees in creative writing and Spanish. He received an academic research grant to study at La Universidad de Playa Ancha in Valparaíso, Chile. Alexis Cherry , 22, from Tampa, Fla., graduated in December 2014 with a bachelor’s degree in international affairs and economics. She will teach English in Turkey. Nia Dickens , 21, from University Place, Wash., graduated in May with a bachelor’s degree in creative writing. She will travel to Belgium to teach English. Erica Fedor , 24, from Ellicott City, Md., graduated in May with a master’s degree in ethnomusicology. She will teach English in the Czech Republic. Lacy Goode , 22, from Tallahassee, graduated in May with a bachelor’s degree in psychology and she will teach English in Taiwan. Robert Haley , 23, from Greenville, S.C., graduated in May 2014 with a bachelor’s degree in international affairs. He will teach English in Taiwan. Kendra Mitchell , 35, from Tallahassee will travel to South Africa to teach English. She has already earned a master’s degree in English, and will complete her Ph.D. in English this fall. Next Article Next Article: FSU alumna scheduled to appear on Jeopardy!